Visit any butcher and you’ll no doubt easily find pork ribs and beef ribs. 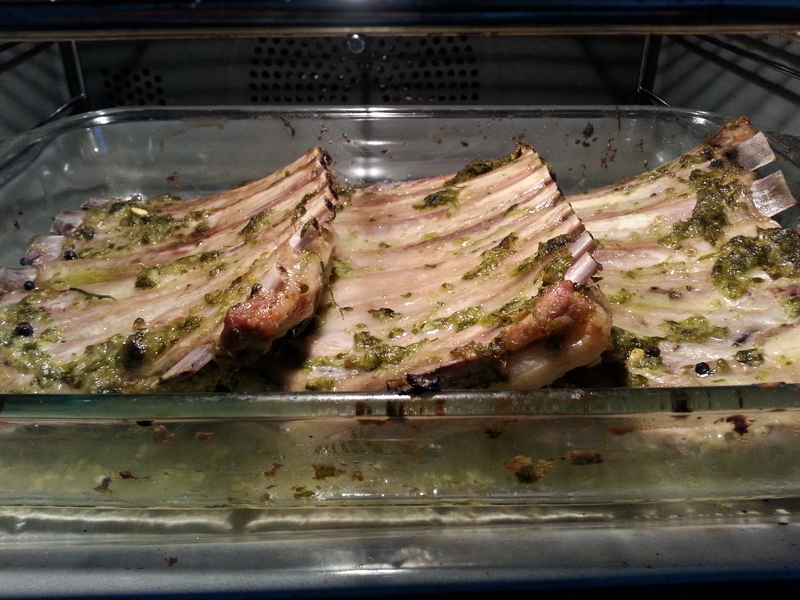 But, chances are, if you ask for lamb ribs you’ll discover that they need to be ordered in advance. At the same time search Google for recipes for lamb ribs and you won’t find many ideas to choose from. Lamb ribs come from the breast of the lamb and they really are an under-utilised cut of meat – at the same time they are tasty and inexpensive. Sceptical? Or adventurous to experiment with a new cut of meat? 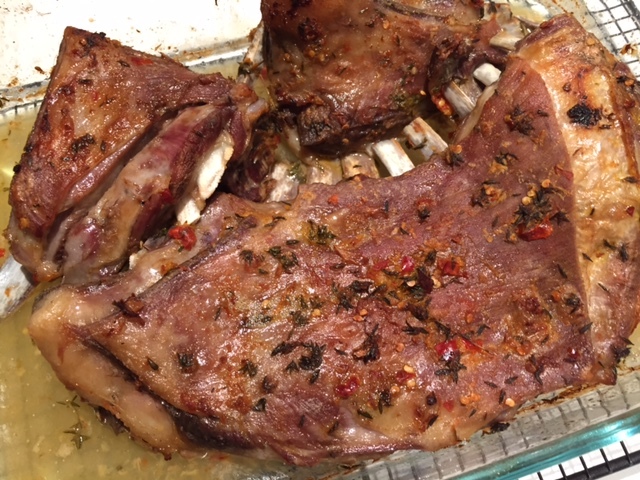 If you’ve never tried lamb ribs call your butcher to place an order and test my recipe. After experimenting with a few recipes, I’ve featured here a simple one that can be prepared in as little as 10 minutes.You won’t be disappointed. This may sound a lot but once the fat cooks away and you take into account the bones the meat probably makes up 60-70% of the total weight. Mix – using a mortar and pestle ground the garlic with a generous pinch of salt into a fine paste. Then add the lemon rind, lemon juice, oil and chopped herbs. Stir to create a paste. 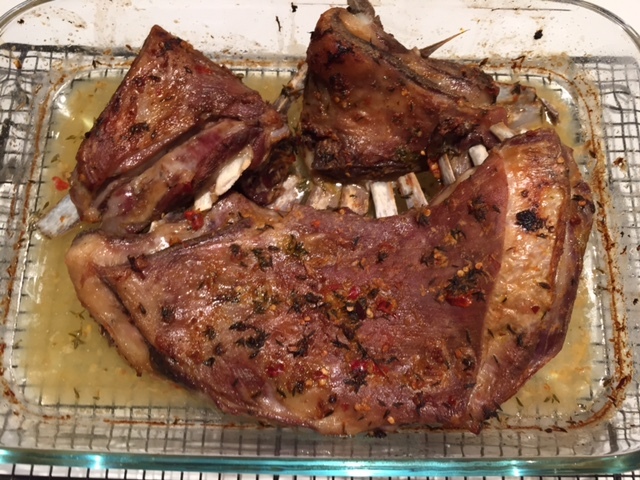 Marinate – rub the paste over the lamb ribs. If you’re cooking right away allow the ribs to come to room temperature. If you have time marinate the ribs in the fridge for two to eight hours (or even overnight). Oven cook – pre-heat the oven to 150 degrees. Add the ribs to a roasting tray. Once the ribs are at room temperature add to the oven and cook for 2 hours or so. 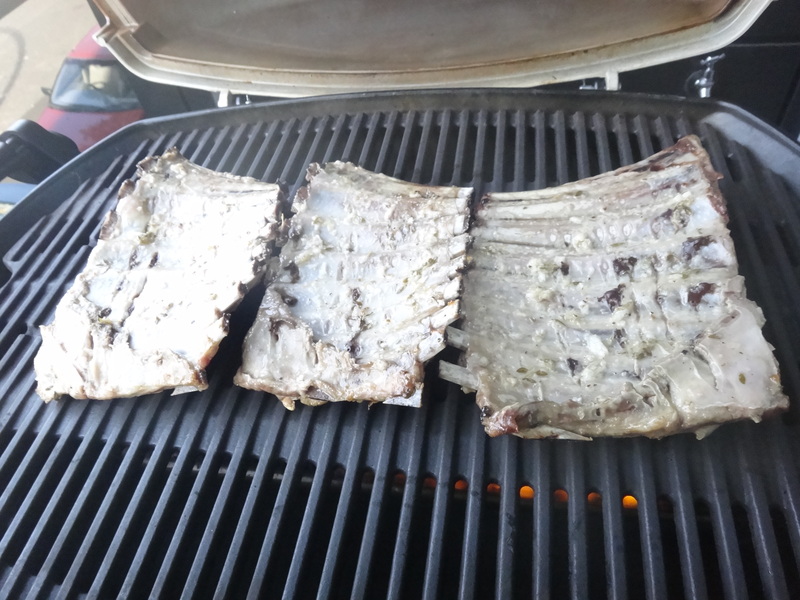 BBQ finish – add the ribs to a hot BBQ for up to 15 minutes (alternatively finish them under your oven grill). Grill some courgette skewers and oven bake sweet potato wedges. Grate a red cabbage with a dressing of lemon, olive oil and salt. Make a simple Greek salad of cucumber, olives, tomato, onions and feta with olive oil. After devouring each and every rib hopefully, like me, you’ll be left with only a stack of bones! 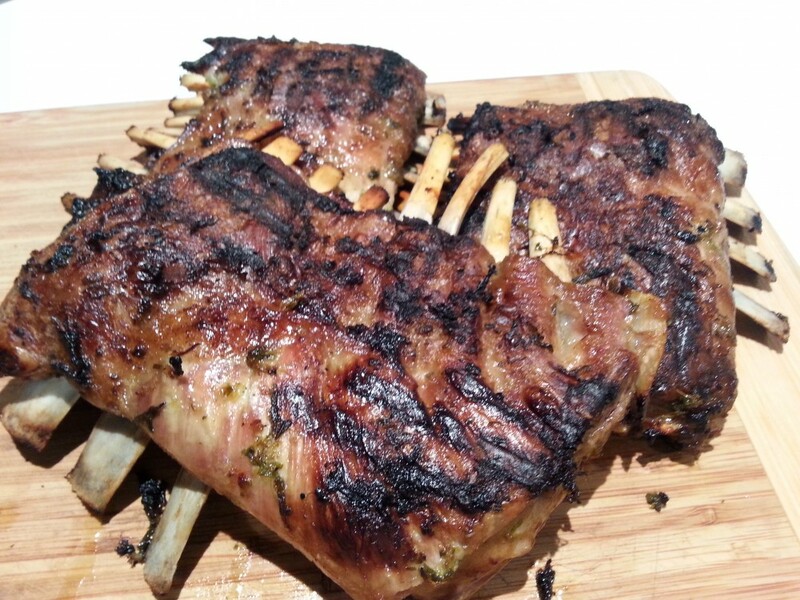 Tags: BBQ lamb, lamb ribs, recipe. Bookmark the permalink.